Since passing the exam in 1996, Rick worked in a variety of roles in the accounting profession before finding his passion in the area of taxation. Current clients include a mix of small business owners and individuals (both local and international) with complex tax situations. Rick enjoys tax work because of the evolving nature of the tax code and the opportunity to interact with clients in a meaningful way. Rick received his BS in Business Administration from University of Mary Washington in Fredericksburg, VA and his Masters in Accountancy (Taxation) from San Diego State University. 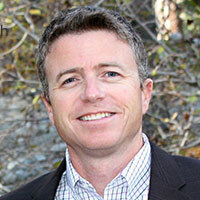 Rick has worked with CPA firms in the Washington, DC and San Diego metropolitan areas before moving to Reno in 2006. He also served as a Peace Corps Volunteer in Paraguay and as a business consultant in Nicaragua. Rick is a member of the American Institute of CPA's. Rick is married with two children and is learning how to garden in Reno's high desert. Zeth has worked with financial and information systems his entire career. Prior to becoming a public accountant, he spent several years working in the management information systems area of a large publicly traded company. Zeth enjoys providing accounting and audit services to local businesses, governments and nonprofit organizations. 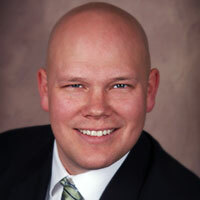 He enjoys going beyond his role as an auditor to help clients identify cost-savings and areas of improvement. Before founding SMA, Zeth worked several years with a local Reno CPA firm. He grew up in Placerville California and studied economics at University of California, Santa Barbara and accounting at University of Nevada Reno. Zeth enjoys spending time outdoors with his wife and two kids. Their favorite outdoor activities include hiking, mountain biking and skiing.